The river rafting thing I mentioned? It was actually this. And we didn't get to go, as it was Labor Day weekend, and calling one day in advance could not reserve enough seats. 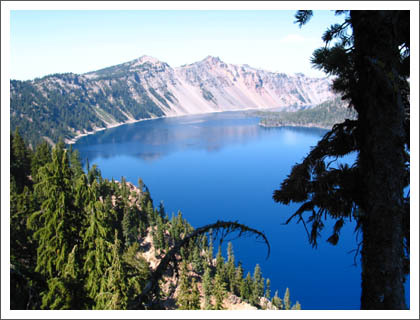 So we went to Crater Lake instead, and it was lovely. I also bought shoes in Ashland, went to a wine/food tasting thing at the Harry and David store, had a Blizzard at the Dairy Queen, took tons of photos, and I spent some quality time with my relatives. It's going to be really hard to go back to work tomorrow.